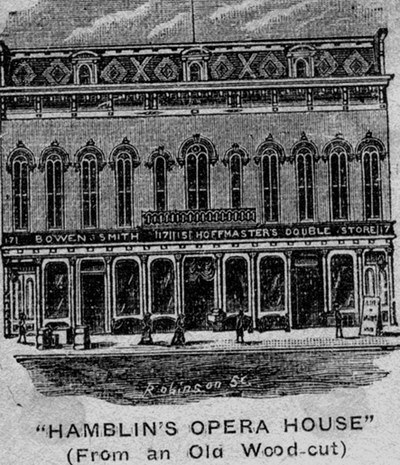 according to my research at the Willard Library In Battle Creek,MI the Hamblin Opera House was located at 17 West Michigan Avenue and that building still exists today. 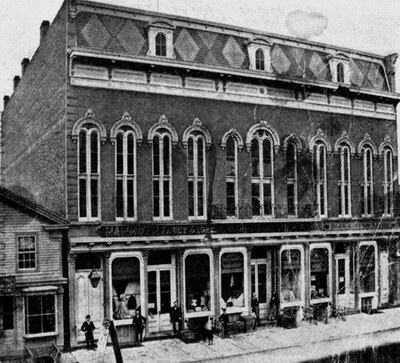 It was operated by Butterfield as the Bijou Theater from 1905 to 1909 when he completed and opened his new theater on Main Street in Battle Creek,MI. John Toeller bought and refurbished the building in 1912 and it was used as a department store. The building has been used for many purposes over the years and still stands today.